Are you struggling when it comes to drawing hair? Drawing hair can be an intimidating task for those who are just learning how to draw. With the overwhelming amount of detail and commitment required, many people lose their patience and resort to a series of sloppy scribbles. To some of us, drawing hair can be a nightmare. But a change in your approach can help you leave those fears behind. In this tutorial, I will introduce 4 simple steps for drawing realistic looking hair. It contains additional tips, techniques and close ups so you see exactly what I’m doing. How to draw short hair (Mini tutorial) Expanded tutorial is now available! With over 2000 words of valuable content + detailed images! It helps to make loose outlines of the skull before you start drawing hair. If you draw hair without the 3 dimensional shape of the human head in mind, it will lack volume and you risk chopping off a part of the skull. Hair hugs the head, but it isn’t plastered to it. For most people with long hair, you can expect at least 2 centimeters of “hair height” on top of their actual height and at least 2 centimeters on the sides as well. Having difficulty drawing heads? Click here to learn how to draw one from the front and here to draw one from side. In order to draw hair with flow, you need to be aware of the structure underneath. For long hairstyles in their resting state, the hair flows down, hugs the head and wraps around the shoulders. Somewhat like a liquid. You want to begin by sketching the basic structure of the hair and keep your strokes loose and simple. A head of hair contains many shades, so before you start scribbling away, take some time to determine where the light source is coming from and how it will affect the tonal value of the hair. If you are working off a reference image where the lighting is too soft, posterize the image or turn up the contrast using a free image editing program such as gimp in order to exaggerate the 3 different shades – Making them much easier to identify. Once you have the lighting down, start drawing boundary lines between groups of hair that appear to be overlapping. Decide where you want the light to fall and then outline those areas using the shadow lining technique. Shade your way around the highlights. If you often find yourself getting lost in the details, this step will help you keep track of the overall lighting so you can be more confident when drawing the individual hairs. Click here to learn more about light and how to shade. An average human head contains around 150,000 strands of hair. Just the thought of this can be very discouraging. First of all, you don’t need to spend 90% of your time meticulously drawing your subject’s hair. In fact, this step can be done so quickly it might even become your favorite step. The key to adding texture is using confident, steady strokes and maintaining a consistent flow. Tip: You can produce long, continuous and smooth lines using an overhand grip on your pencil while harnessing the power of your elbow and shoulder instead of your fingers and wrist. Work on one part of the hair at a time, while following the general direction in which the strands flow. In dark areas, don’t be afraid to press hard (I used a 6B to 8B for these areas). To bring out highlights, flatten your kneaded eraser and swipe it in the desired direction. The eraser will become too dirty after the first swipe, so fold it in and flatten after each stroke. You can add more or less detail depending on the level of realism you are trying to achieve. When creating your first layer of pencil strokes, mix it up with a variety of different line weights. I use a mixture of dull and sharpened pencils as well as mechanical pencils. As you are creating each stroke, remember to press and then lift as you approach the area you want to highlight. Work your strokes inwards so they fade in the middle of the lock. Add a second layer of strokes. In this stage, I usually opt for a 0.5mm HB–4B for touch-ups and a very dull 6B to fill some white space without making it look too busy. Keep doing this until you achieve desired results. If you want to create a shiny look or replicate harsh lighting, try to keep the highlights fairly clean. You can use an eraser if need be. For hair ends, work outwards so your hair tapers nicely without looking too blunt and dull. Drawing hair isn’t just a bunch of lines in boring repetitive patterns. Use the 4 techniques below to make your drawings more interesting to the eye. If you’re having difficulties drawing long hair because your pencil strokes are too short or choppy, try holding your pencil further away from the tip. This will give you more range of motion, producing longer, smoother strokes. Drawing curly hair is really fun and absolutely great for building confidence when it comes to adding texture. 1. Practice drawing curls using a cylindrical shape. This will help you achieve realistic curls with plenty of volume. Drawing short hair is really no different than drawing long hair, except that you will find yourself covering less ground in the same amount of time because the strands are much shorter. 1. Construct the shape of the head and position the ear in the correct place. 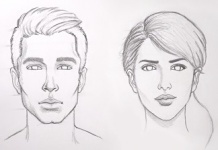 (4B) Click here to learn how to draw a head/face from the side and where to draw the ear. This is my longest tutorial to date! I hope it covers everything. If you want to see more tutorials like this one, please let me know. Also, don’t forget to share the love using the share buttons below :) Does the thought of drawing hair make you cringe? Let me know in the comments! This was really easy to follow. Thank you. Hi. What range of pencils would you suggest for blonde hair? H,2H, 3H ? is there a tutorial on how to draw dog fur? Hi Darlene, I have learned so much from your tutorials. In the video you mentioned a worksheet to practice on designing different hair styles. I don’t see that anywhere, could you direct me please? Thanks a bunch!! I was still a little confused when drawing. Could you make a simpler tutorial? Im working on a video tutorial right now. It should be a lot simpler. Stay tuned! This is so cool, damn!! Crap, I’m freaking out so much ahhh!! I’m drawing one of my role models/idols, Brendon Urie. 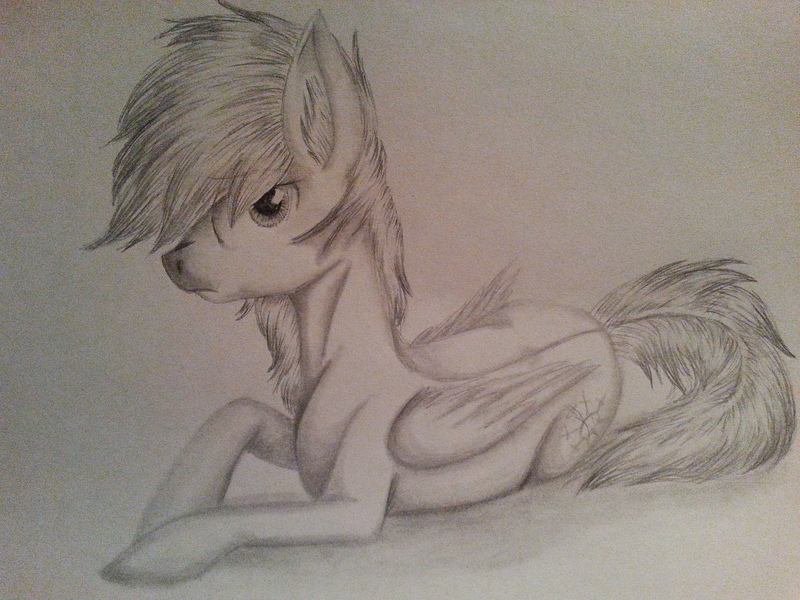 I’ve shaded most of the face, but I got bored, so I wanted to move onto the hair and come back to the shading later! I’m not too bad at drawing, my drawings are easily recognisable as who they are supposed to be, but drawing hair is the BIGGEST problem for me! I always get scared when drawing hair hehe, hopefully I’ll be able to do this well, as I want to send this to Brendon as soon as I can (as fan mail). Oh well, I guess I’ll see how it turns out! Thank you so much for the tips! It helped a lot are you on whatsapp? amazing!!!!!!!! so good at drawing!!!! Thank you so much for this tutorial. I am twelve and a beginner to drawing realistic, I already figured out that I should draw hair in layers, but this tutorial is very helpful. Awesome! I’m glad you enjoyed it! you r the best!!! loved it and want more!!!! Grazie mille che questo davvero mi he aiutato un sacco come diseghare come ho usto per essere molto spazzature in esso…… grazie grazie!! ancora!!!! My wish is to help us with how to short Afro. And may be how to draw grey hair. thank you for these toturials you shared. i thought then that hair so hard to do so but you made some tips and techniques which makes a lot more easier than it should be. Hi Cherishma! Thanks so much for taking the time to comment and leave your feedback! I don’t really dabble into other mediums very often so I don’t know if my suggestions will help much. Are you taking the course to get your feet wet? If the course supplies all your materials, I would suggest oil painting because acrylic and water are fairly easy to learn on your own and the supplies are a lot cheaper from what I remember. As for what’s popular these days, I’m not quite sure to be honest. You can send me images via the contact page. If you scroll to the bottom of the site, you’ll find the link. Your drawings are gorgeous. They have helped me to get even better in drawing perfect hairs. But Can you please give a tutorial on drawing dense curly hairs?? I use the threshold option in Photoshop to see the shadows more clearly, as in your Gimp example. Thought I was the only one doing this haha. Thanks for taking your time to write this tutorial – drawing hair (or beards what si the same thing) is for me the most difficult part of a realistic face drawing . My difficulty is the transition from stage 2 to 3 which is , I believe, the most difficult stage . If one looks at the picture 3 in the tutorial, it looks very different from mere shading and it is not really explained how one gets there . The picture 3 doesn’t really show shading but rather strong contrasts between irregular black and thin white lines . If 3 is done, 4 is relatively easy because it is mainly smoothing, smudging, highlighting and blending . So what I wonder is how 3 is done and what would perhaps help would be to show the very first dozen of lines . Especially important is how the thin and irregular white lines (which look like individual hairs or very thin strands) are drawn . Is it with using a thin eraser ? Or is the black drawn around leaving white thin areas untouched ? The problem is for me neither shading, nor black lines but the strong contrast of the thin white lines . I’m working on a more in-depth hair tutorial at the moment. This tutorial should be released early in the week. If you sign up to my email list, I’ll let you know when it’s posted. When I draw individual hairs, I use a mixture of adding and removing graphite. Sometimes, I’ll be lucky and get a nice clean line while I’m layering my strokes. If that happens, I’ll add a darker stroke beside a light one to help bring out the highlight more. I’ll eventually add a video to this tutorial. Let me know if you’d like me to explain anything else in detail. *to anyone else reading this, feel free to leave your questions/suggestions as well*. I’m taking notes! Thanks much for your answer . Yes I’d like a detailed explanation about something (concerning hair and beards) . Shading a continuous surface (a wall, a face, a vase etc) consists in simulating the amount of reflected light . But for a continuous surface the amount of reflected light is also continuous what makes things simple . That means that the technique to be used is to create gradients from dark to light . The gradients will be different, have different orientation etc but they will all be gradients . This can be typically done with smudging and blending . Now hairs are something completely different . They form neither a surface nor are continuous . Every single hair is reflecting light and as their position/orientation is not identical, one doesn’t get gradients . What one gets instead are strongly contrasting thin strands some reflecting much (e.g almost white) and right beside others reflecting little (e.g almost black) . So even if the side of the head oriented towards the light is generically lighter, there are still strands that are very dark and vice versa for the darker side of the head . Unfortunately it is precisely this irregular, non gradient like, very contrasted superposition of dark and light strands which makes realistic hairs . That’s why if I use the “standard” shading, the hairs look too much like a continuous “solid” surface and if I go more for individual hair drawing it is missing volume . Thanks for your answer Darlene . I really appreciate that you spend some of your time to help people drawing better . For some reason the detailed question that I wrote yesterday didn’t come through to the comments so I’ll link a typical result I get when trying hairs (done with 4B) . It lacks contrast and volume but I can’t see what is wrong and what technique to use to improve it . I don’t know how to draw. Is that the problem? Sure is a rapid art. Wow this is great! Thank you so much! Thank you Darlene for your tutorials, I am just starting to draw, my goal is to draw realistic portraits, so much to learn, so many techniques, your sharing how you do it is a great start, by copying your drawings I hope to achieve my own technique from here and there I am learning a little bit at a time… one of the most important things I have learned is Patience…. First of all, WHAT ARE YOU DRAWING! Showing others your fantastic drawing skills does not teach them to draw. It teaches them to copy your work. People, grab a picture of a model, get a sketch pad and draw what you see. Start by laying down a foundation of white pastel on newsprint, then go over it with darker colors. If you set aside a few hours a week and draw what you, yourself see, you will learn. Technique will come later over time. So, what are you drawing? Where is the model? All great masters learned by copying their teacher…. lol, this tutorial gave me plenty of tips and pointers and that’s the point. To show people how she does it and give her thoughts so we can digest it and take away what we want to add to our style….. one way people learn by is mimicing and copying and then add their own flair…. Anne, I understand your point but Darlene seriously helped me develop my style( realistic with a touch of anime). She has probably helped others do the same as well. It would also be help if you were stuck on a feature of a drawing. This is just my opinion but I hope you see my point of view. ok tbh it was kind of dumb for u to say that. her tutorial have helped me so much to understand how to draw a basic face, and now i can draw faces that look pretty realistic. from what she taught me from these, now i can look at a face and see how i can make it into a sketch. she isnt making u copy her, because if u can realize, she gives really helpful tips that have helped me a lot. so please read the things she said and maybe see if it can help u at all. u putting up that comment shows that u are ignorant of things and probably arent very smart. hope this taught u to read and look before u make conclusions. Can you send me an example via the contact page? Randy Blythe has quite a few different hairstyles. This tutorial is very helpful!! Thank you for this awesome post. I have a question…do you have a tutorial or suggestions on how to draw realistic dred locs and braids? Comment:thanks a lot for this but am still having problems on shading…. I’m releasing a super detailed tutorial on shading very soon! You can subscribe to my newsletter to find out when it’s posted! I really need help drawing hair. It’s not like regular, it is different. I have this big portrait due Tuesday and I’m stuck on the hair. Please help me. Wow! A very well-written and informative tutorial! I really enjoyed reading it and found the guidelines very simple and easy to read but still providing effective content. One of the best tutorials I’ve seen! Great work! I love all of your tutorials. I am so inspired by your tutorials. They are so helpful and will help me to draw better by using them as a reference. I will be watching for new tutorials to come out. Keep up the great work. how to draw really black hairs . and which pencils should be used for it ? as well as , how to get smoothness on hairs ? you seems a great artist . please help me . Hi Rohn, you can use softer grade pencils for darker hair such as 6B and softer. For hair smoothness, try practicing longer pencil strokes so each hair is 1 stroke instead of several short ones linked together. You can achieve longer and smoother strokes by holding your pencil higher up (away from the tip) to increase your range of motion. How to draw basic shape of the face ? I usually use grids , but still I am too rookie that I don’t draw it correctly. Also my shades are real rough. I don’t know how to smooth the shades . blending don’t make it smooth. I want to show which hair i wanted to draw and what i did . I just found it through a series of searches while looking at fashion illustration. I will totally use this site in the future!!! Awesome detail and such good communication through tutorials. Thank you so much this was incredibly helpful thanks your awesome btw! Glad you like the tutorial Tara! Hey Darlene. After ages of searching on the net I came across this tutorial. It’s been really helpful. I would love it if you could do one on how to draw eyes. Your drawings are amazing. Also, do you do hyperrealism and photorealism? Thanks Faridah, I’m glad you found it helpful :) I have a tutorial on drawing eyes but not an ‘ultimate tutorial’ if that’s what you mean. Unfortunately I don’t have any hyper/photorealistic tutorials. Thanks for your request. I’ll add that to my to-do list! No offense but this is a very poor tutorial. You can’t expect people to learn anything from this level of vagueness. The search for proper tutorial goes on. Or maybe you are dense. If you read it and study real hair or your own, then yes, this IS helpful. I agree. Great art, but the tutorial is a little vague. I’d love a tutorial in more depth. But, that was a bit rude. Thanks for your feedback guys. I will revisit this tutorial and add more details to it in the near future. Your tutorials are so amazing, it’s so easy to draw with your help! You are such a talented artist!! Thanks Leona! I have that one on my to-do list already :) I will start working on it sometime after the holiday. You can follow me on Facebook to get an update when I post it! I’ll add that to my to do list. Thanks for the suggestion! Hey! I’m really impressed! The first one’s got some really nice volume and your strokes are quite fluid. You can make the fur shinier if you bring your lines closer together and really define the areas you want to highlight. I like how you made use of different line weights when drawing the bottom half of the tail. Also, do you think I can apply the hair techniques to something that’s not human? 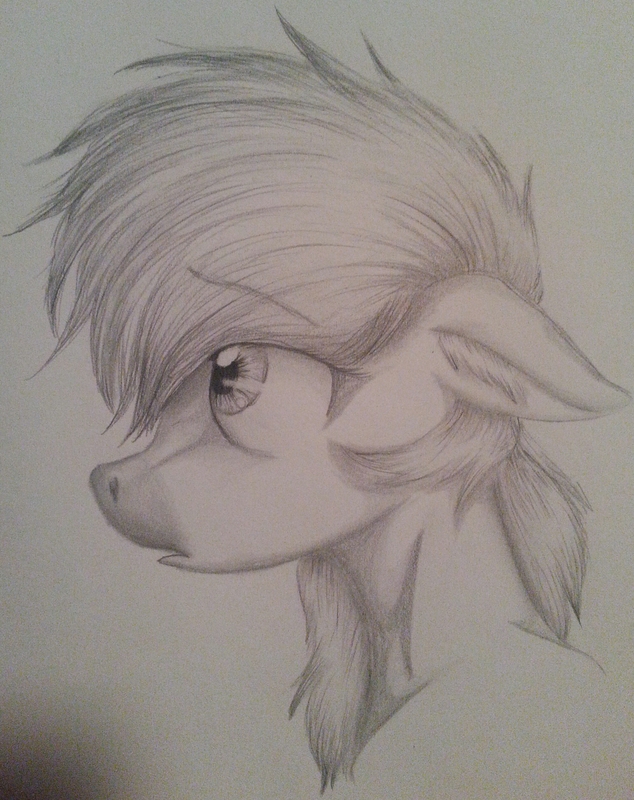 like a cartoon pony’s mane? another thing, do you plan on doing a fur texture tutorial in the future? Thanks Frostine! I’m not too familiar with drawing cartoons at the moment. But I think you can apply most of these techniques for drawing cartoon hair as well. Such as the first 2 out of 4 steps (volume and flow), curls, tapering, overlapping, and line weight. I am gonna thanku you for your article. It’s really helpful the way you have described it. I always have a problem drawing hair. I will love to see more exposure of hair with different type of faces. Exactly what I was looking for. Thank you Darlene! Thank you for the support Kitti! This was really easy to follow! Thank you for making it! Really nicely done! Liked your fb page and hope you make more tutorials like this one. This is a wonderful lesson and very detailed too. Thanks very much!